Latest > Employer Branding > Becoming a best place to work: How to craft an employer brand. Damn. While that certainly gives us pride and a nice little ego boost, it’s also a testament to why we rarely have to post open positions when we’re hiring. Not bad. Oftentimes, leadership’s first instinct is to throw money at the problem of bad or no culture (aka high turnover, difficult recruitment and low employee engagement). They’ll try to offer cool perks that they think will improve morale—things like free lunches or beer. But surface-level perks don’t really get at the root of the challenge, which is to ensure you distinguish yourself as a place where people can succeed professionally and personally. We knew we had to do more. Your outward-facing brand is how you connect with your clients and customers, and it’s how they experience your products and services. Your employer brand is how you build a relationship between your company and your employees. It’s the promise you make to every one of your people, from the CEO to the newest hire, as well as to job-seekers who are engaging with your company for the first time. Define a purpose. Start by revisiting your purpose and core values. If you haven’t created an employer value proposition (EVP)—the foundation for aligning what you say with what you do—that’s your first stop. 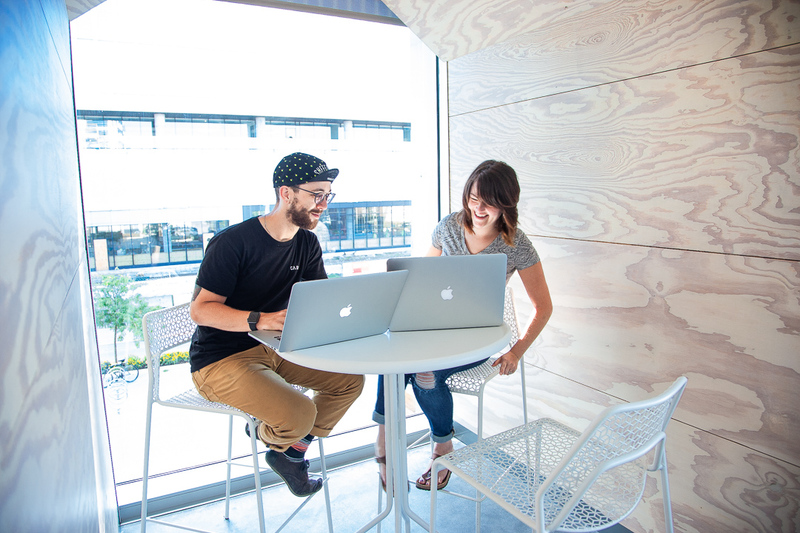 For us, crafting an EVP was relatively simple because we had already aligned all of our employees around four core values (candor, happiness, innovation and accountability) and a powerful mission to create things that matter. Evaluate the employee experience. Intentionally examine every aspect of the employee experience—from leadership and environment to technology and culture. We started with an anonymous survey that included questions about how people truly experience their workdays and how supported they feel in their goals. That—in addition to many conversations, group brainstorms and input sessions—helped us take a more informed look at how things really were and not just how we wanted them to be. Build and deliver on your promise. Communicate the vision you have for the company and design a set of perks, expectations and standards that will help you get there. We, of course, took care of some of the basics (like the aforementioned free beer and lunches, as well as health and wellness stipends and training opportunities) and expanded to things we knew would support the bigger issue of work/life balance: self-managed (unaccrued) time off, professional coaching and leadership development, and regular, goal-oriented 1:1s with leaders. We’ve found that when we’ve communicated our values and built an experience that emulates them, employees know what to expect and are more engaged and more productive. Make your employer brand work harder for you.